When I checked into the Moxie Fab World blog today and saw the fabulous cards made with ready made embellishment I was so inspired to make a card! YES! This is just the inspiration I have been waiting for - I actually love the ready made embellishments but I seldom use them, so I really have a lot just laying around. I've used some Cosmo Cricket Baby Jane chipboards and paired them up with the knit background stamp from WPlus9 and made this birthday card for a knitting/crocheting crafty friend! 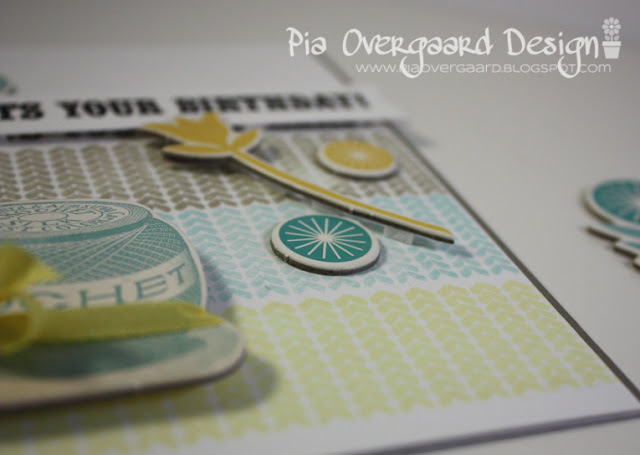 The colors of the chipboard pieces are repeated in the background stamping. Background stamping made with the wonderful soft hero arts shadow inks! Some of the chipboards where raised using foam dots. Other: May Arts silk ribbon, foam adhesive. 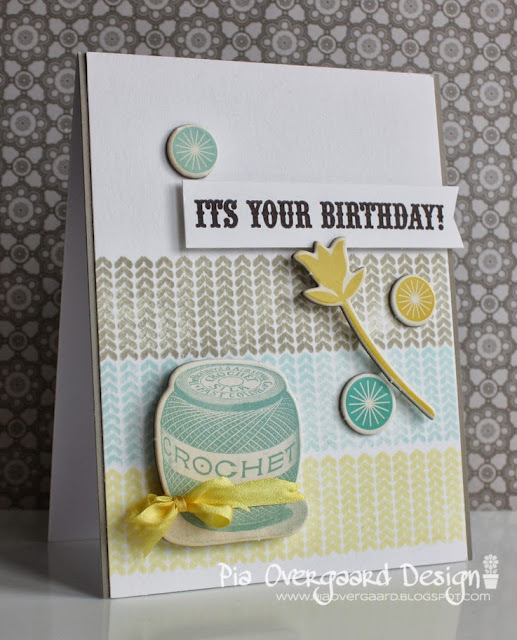 Well, I hope you like it - be sure to take a look at the Moxie Fab World blog to see the stunning cards, which inspired me! Maybe you want to play along in the challenge, too? I can't wait to check in tomorrow to see, what's up!